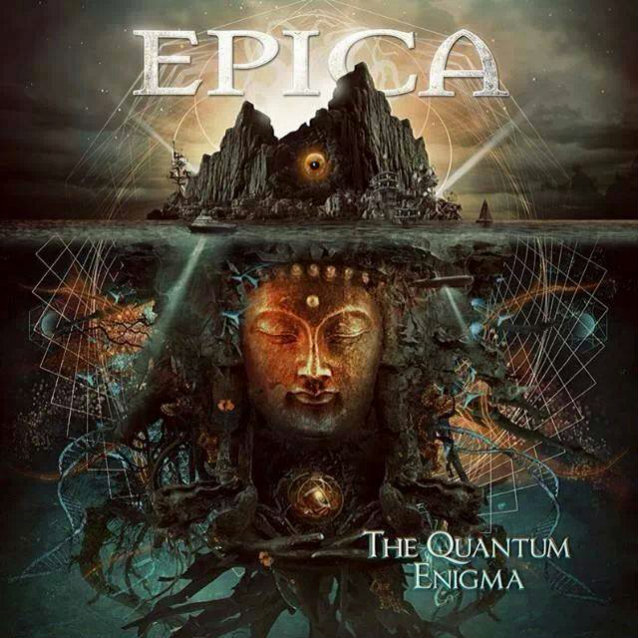 "The Quantum Enigma", the sixth studio album from Dutch female-fronted symphonic metallers EPICA, sold around 3,700 copies in the United States in its first week of release to debut at position No. 110 on The Billboard 200 chart. The band's previous CD, "Requiem For The Indifferent", opened with 4,800 units back in March 2012 to enter the chart at No. 104. EPICA's fourth album, "Design Your Universe", registered a first-week tally of 2,100 back in 2009 to land at position No. 12 on the Top New Artist Albums (Heatseekers) chart, which lists the best-selling albums by new and developing artists, defined as those who have never appeared in the Top 100 of The Billboard 200. In a recent interview with LiveReviewer, EPICA guitarist Isaac Delahaye stated about the making of "The Quantum Enigma": "It was very much our intention to really make songs. It was because we started with putting a lot of effort into the basics and we gave a lot of attention to the band part, more so than before. And, of course, Jacob Hansen mixed it and he knows how to do these things. We tried out several people and had them do a test mix of certain songs and he came out on top. It's become a heavy album, yet all the details are there. Previously, we used to go to the studio, tune our stuff and then we recorded an album. This time we did a long pre-production in the studio and we got to check out a lot of different combinations of amps and then we could record it. Previously, we just did everything in our home studios and sent each other the parts. And after that we would go into the studio and that's it. But now we sat down together and discussed a lot more, it was more of a band effort. It was working together, rather than reacting. Everyone brought songs to the table, which was very cool. With the previous album, it was mostly Mark, Coen and me writing a lot. And now even Ariën joined in and that made it all feel refreshing. It's odd to say, but it's kind of a new beginning."